There are two different kinds of cement used in the production of masonry: Lime and Portland. Various combinations of lime and Portland are used to generate the 5 different specifications of mortar used in Toronto. Both lime and Portland cement come with unique sets of pros and cons. 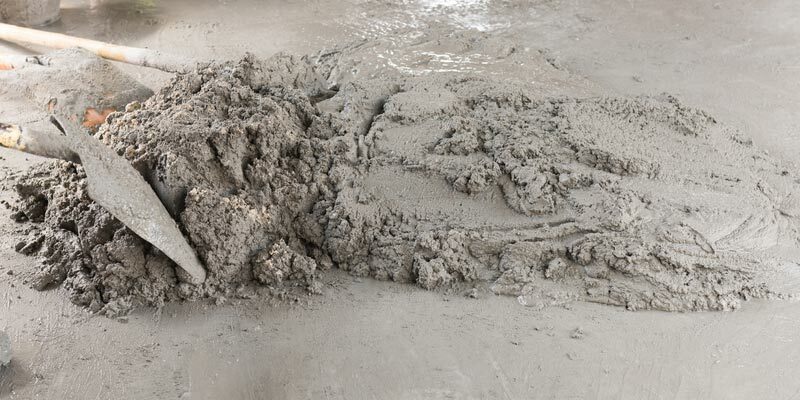 Before we get into these and the specifications that set lime and Portland cement apart, it’s important to understand the differences between cement and concrete. Cement is a necessary ingredient used to manufacture concrete, while concrete is the finished product. To simplify things, think of cement in terms of flour. It is important to have cement in your mortar mix, just as it’s important to have flour when making baked goods. Cement and concrete are not the same thing, cement is comparable to flour and concrete is more comparable to bread. Most types of cement are made from a combination of Portland and lime cement, as each offers benefits and drawbacks. There are 5 different types of mortar, each one is made from a different combination of Portland and lime cement. An experienced mason will know the right type of mortar for a project based on specific applications, strength and properties. Finding the appropriate mortar specifications is a true art form, regardless if you are working on new construction or conducting masonry repairs. Using the wrong type of mortar can turn into an all-out disaster. Masonry repairs conducted with mismatched or improper mortar can result in major stability issues and further deterioration of mortar and other masonry materials. Generally speaking, brick and stone walls are constructed using Type N mortar. Type N mortar is made from 50% lime and 50% Portland. This combo offers the best of both worlds; high strength, and fast set time, as well as flexibility, permeability, and workability. Anything with horizontal exposure to the elements should be outfitted in either Type M, pure Portland cement, or Type S. Examples of this type of construction include stone patios, wall coping or door thresholds. The reason for this relates to the high possibility of water pooling in these areas. Salts in the water can then erode away at surfaces in as little as one year if Type N or anything lower is used. Mortar types O and K are less commonly used. Type O is usually reserved for glass block and Type K is considered practice mortar. Are There Different Types Of Lime? Cement gains its strength from the amount of clay it contains. Portland cement is generally manufactured from around 30% clay, while lime is made with only around 5% clay. Lime mortar is available in 3 different strengths based on how much clay is present in mortar. The closer the overall percentage of clay gets to 30%, the closer to Portland cement it is. What Is The Best Type Of Mortar For Your Project? There is no one-size fits all answer to this question. Instead, the right answer is based on the exact specifications of your project. Sometimes you’ve got to bend and even break the rules to make things work. For instance, it’s a well-known fact that using natural stone in combination with Portland cement in its purest form is not the best idea. That being said, Toronto’s unique climate often requires the application of flagstone patio in pure Portland in order to outlast more than a few winters. Understanding mortar is crucial, but so too is an in-depth understanding of the local climate and how it’ll impact masonry structures in the short and long term. Both lime and Portland cement play an important role in mortar and ultimate strength of masonry units. Only a truly experienced mason with all of the right tools can tell you the precise cement ratios required for utmost success.